We have been operating our DJ entertainment company in Anchorage, Alaska since 2007. The company name is derived from the phrase On-The-Go, as we are a mobile DJ company that is always on the move from one event to another. We provide our services all over our great state, but mainly service south-central Alaska. ONDAGO DJ Entertainment is owned and operated by John Fernandez who has made an outstanding name for DJ entertainment in the last frontier. He has almost 20 years of experience and has had his share of nightclubs and bars, but prefers the dynamics and challenges of the event DJ industry. His online public reviews (Google, WeddingWire,theKnot.com, Yelp) reinforce the quality experience you expect from a professional DJ service. It is our goal to set a high standard in providing quality DJ services at a reasonable rate for professional event DJ services. Some popular events may include private parties, weddings, corporate events, school dances, and the local non-profit fundraiser. Our event services include an experienced disc jockey that can read the crowd, a massive library of legally obtained music, high quality and reliable sound systems, intelligent LED dance floor light effects, architectural lighting design, AV projectors/screens, and even a sleek photo booth. We are grateful to have the ability to provide these services to Alaska and look forward to the future as we expand our business for many years to come. Professional Disc Jockeys – Comfortable in acting as the event emcee, punctual, reliable, and dressed for success. Reliable Equipment and Light Show Setups – Clean and professional look with any loose cables secured in traffic areas for safety. Massive Music Library – We have a 99% success rate in having your song in our library. Convenient Online Planning Forms – that help with planning of event times and creating a music planning list. Competitively Priced for Professional Services – Obtain an immediate online price quote by clicking here. 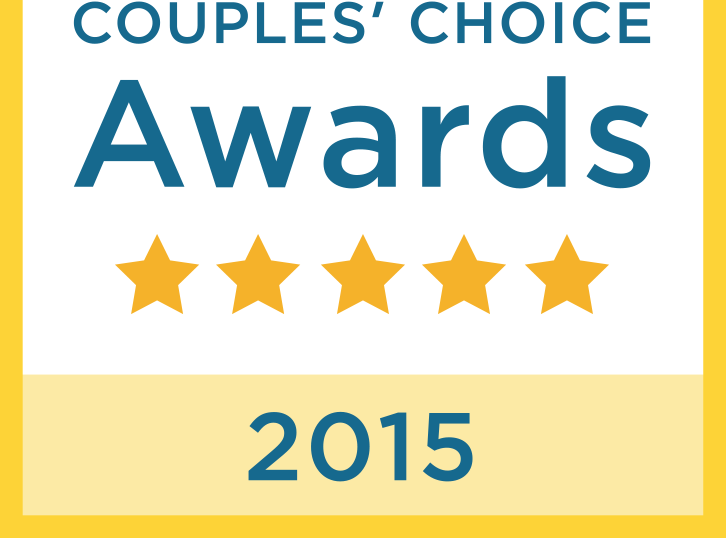 ONDAGO DJ Entertainment is proud to be a winner of the 2017 Couple’s Choice Awards from WeddingWire.com! We are recognized in the top 5% of wedding professionals nationwide. Thank you to every wedding couple that has responded with a wedding DJ performance review. We are the only Alaskan DJ company who has received this prestigious award for the last four years in a row! We are a preferred vendor with many local hotels, lodges, and venues. We feel that it is important for your DJ entertainer to be familiar with your venue. This knowledge can help with the planning meetings as it helps strategize a workable floor plan and helps to create a smooth flow of events for the day-of agenda. We can suggest what has been done in the past and suggest what may be successful, but what matters to us is what you want to do. A professional DJ will preview the venue beforehand to understand the load in process, locate power accessibility, and know what to expect on the day of the event. You can find a list of event locations where we have performed and soon to perform at here. Each year we are contacted by local community organizations that need our services to provide music and emcee services to their fundraisers. Whether its taking care of our military veterans or raising funds for researching for a cure to fight a life threatening disease; we will do what we can to help. Here is a list of some of the organizations that we have help in the past few years.